Anza-Borrego and Ocotillo Wells Desert State Parks, for those with a taste for sandy expanses and/or off-road driving. San Diego has been called America's Finest City. San Diego State University students have access to the Mission Bay Aquatic Center. The center is located in Mission Bay Park and it gives students the opportunity to take full advantage of the recreational activities the city is famous for — the Aquatic Center offers lessons in kayaking, surfing, windsurfing, rowing, wakeboarding and sailing. University life is more enjoyable when you are located in a beautiful city with idyllic weather. 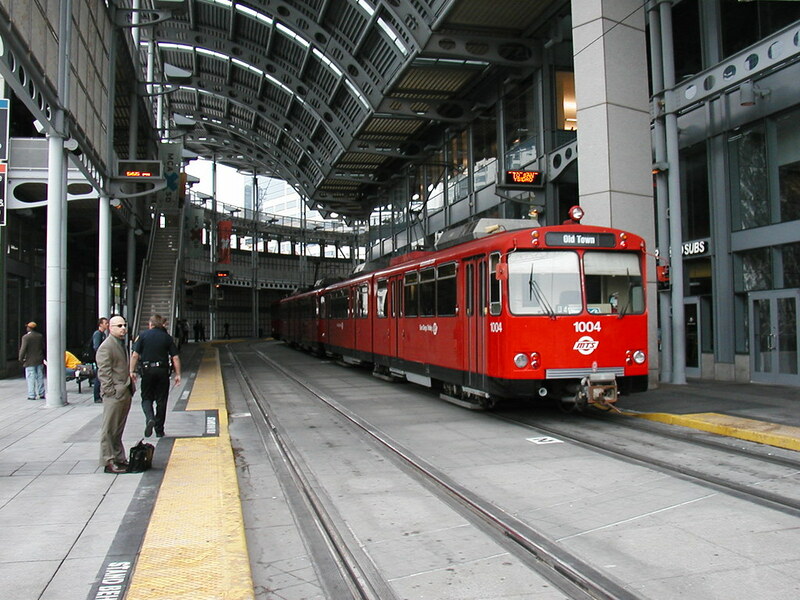 The San Diego Trolley has recently been extended to include San Diego State University. The new transit station allows students further access to the surrounding areas in San Diego. 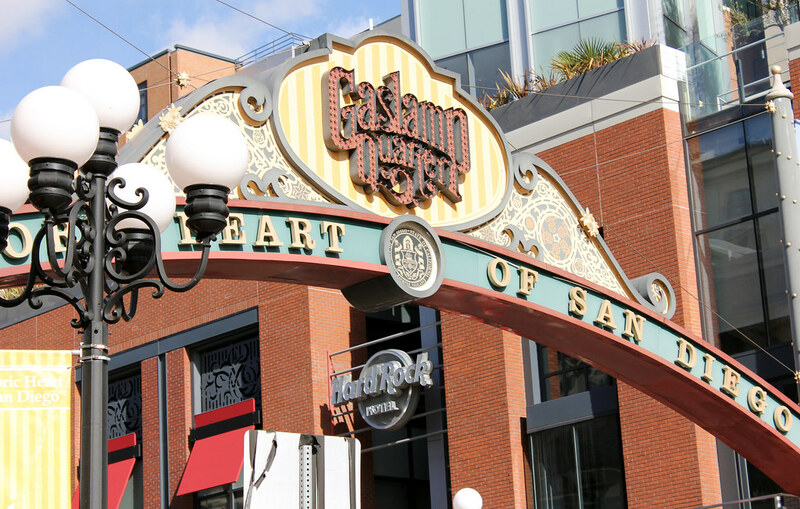 The Gaslamp District, San Diego. San Diego MTS trolley at American Plaza station. Copyright © 2019, 2015. All rights reserved. Credits. Email the web custodian. Page last modified: Tue 14 Jun 2016 03:06:51.